I'm looking for a 2015 S-Works Allez frameset, size 52, (the polished alloy one, no the painted version). I have a 2015 S-Works Tarmac, but I'm thinking about building a "winter bike" and I simply love the Allez in this color scheme. Specialized dealers here in Portugal don't have it and can't find it anymore. If anyone knows where I can get one, please post the information here. The frame set you're talking about was available in pretty limited quantities... and I would imagine they were all snatched up long ago. I can't point you to any specific ones for sale, but a good avenue to start might be instagram.. if you search the hashtag #sworksallez you'll find photos posted by people that own them. Perhaps do some digging and see if anyone is interested in selling. For what its worth, the 2016 Allez DSW SL Expert and Allez DSW SL Comp both come in polished frame versions. They are not S-Works bikes, but they're very close. The only differences between the DSW SL frames and the S-Works frame is that the tubing in the rear triangle of the S-Works was triple butted, as opposed to being double butted and the S-Works Allez had an S-Works Tarmac carbon fork, as opposed to the standard tarmac carbon fork on the DSW SL frames. All in all, the S-Works Allez frame set is about 200 grams lighter because of those differences... not much really. Here's a picture of my 2015 Comp.... built up wit mid-level components and it weighs just 16.5 pounds. I have a friend that built the same frame set with DA9000 mechanical and his weighs 14.8. I know it won't be an easy task. I could've bought the painted version from an UK retailer but being a relatively expensive frame (for alloy), I would settle for a second option, if you know what I mean. I've seen those frames you posted above and I like the expert (yours is very nice too), but unfortunately they don't have the Expert model here in Portugal (only Comp). They don't even sell Allez framesets this year, so my options are short. My idea was building an S-Works frame, with SRAM Red 10v taken from my previous bike and Zipp 101s, wich are my winter wheels. Judging by your bike's weight makes me think that going for a non s-works version, might be an option. I have time, so I'll try and find the desired S-Works polished version. If I don't succeed, then it's time to try different solutions. I understand completely... for the price of an S-Works frame, you should get what you want, for sure. My point though is that you're primarily paying for the exclusivity of the frame and the S-Works branding/badging. In actuality, there's not much difference compared to the Allez DSW SL frames. 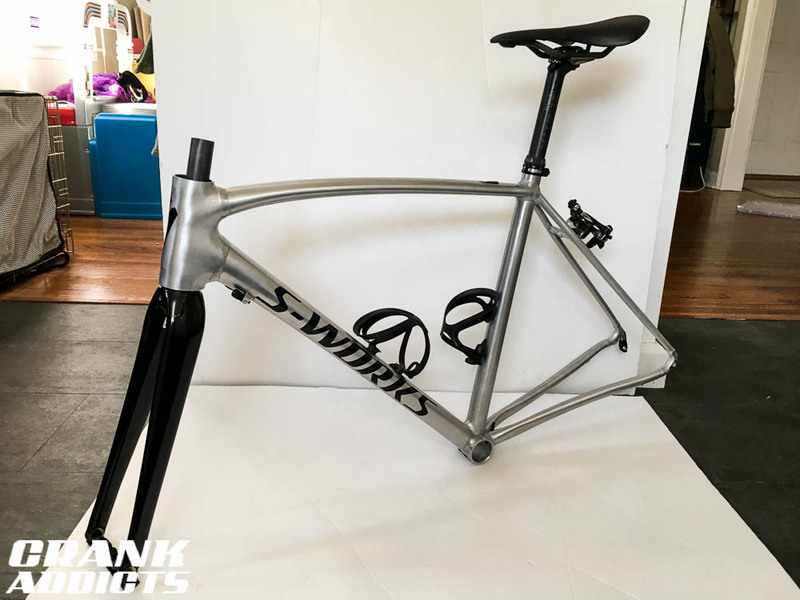 It may be difficult to get an expert in Portugal, but it can't be more difficult than getting an S-Works just for the simply fact that the Expert is still being made and not in limited quantities. That sound like a great build plan... will definitely be a strong-performing bike. 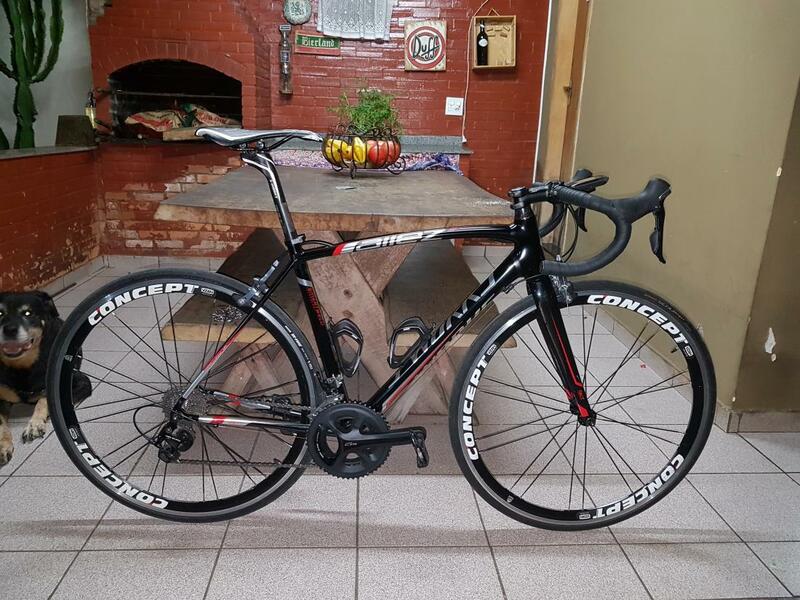 My friend bought just the frame set... he built it with DA9000 mechanical, carbon saddle, bars, etc and DA9000 C24 wheels, size 49 and it weighed 14.8 pounds. That is LIGHT for an alloy bike. The 2015 polished s-works frame is di2 only. It is the only di2 allez frame made. I will take one, want it for a backup frame. The 2015 polished s-works frame is di2 only. I was going off this bike, which is di2 and does not have the cable stops. 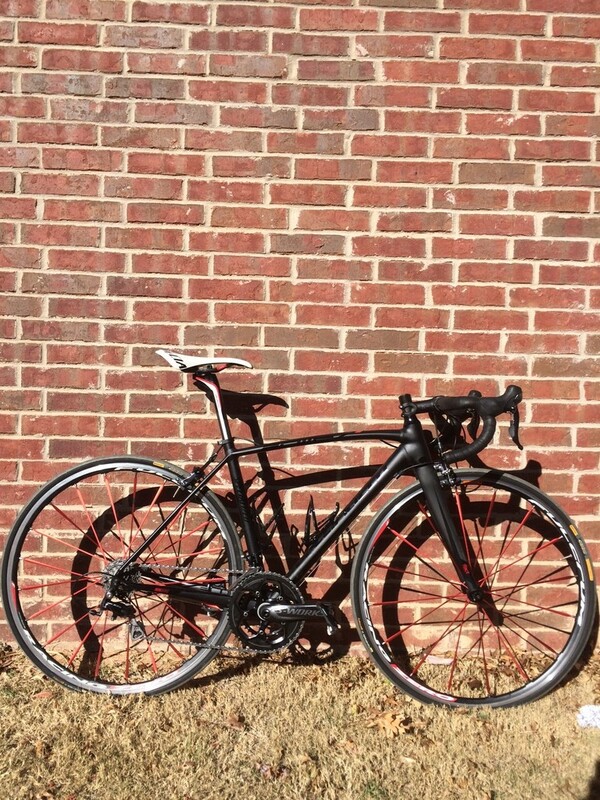 The polished complete S-Works bike is Di2 only. The polished frame set has cable guides. If it wasn't such a pain to ship to other countries, I would offer to sell you my allez frame. It's not an sworks, but it is the frameset option. Last edited by tyrich88; 01-26-2016 at 01:32 PM. you painted with black matte? is beautifil this sworks allez!! 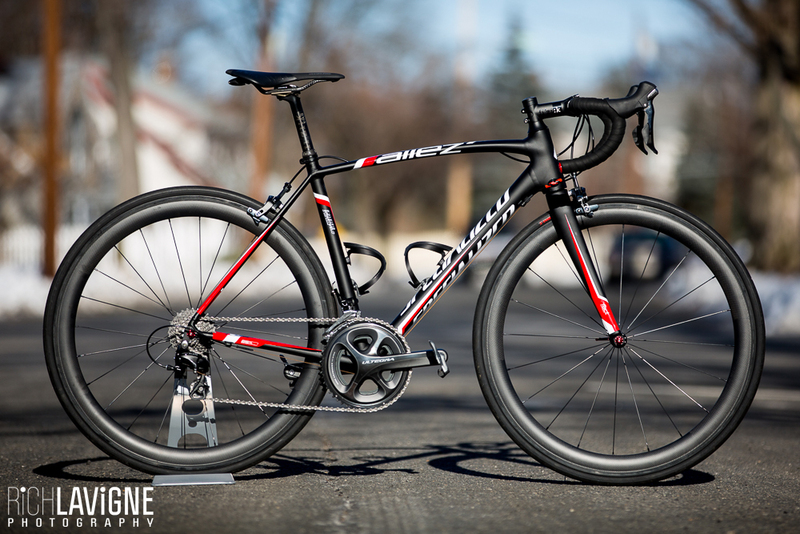 The black bike is a 2015 Allez comp... it is not an S-Works, but it is a Smart Weld frame. Since this thread started, I'cve actually found out some additional info about the S-Works Allez. The actual frame sets are no different from the rest of the smart weld frames. When the smart weld frames were welded up, they'd choose the best looking ones to be S-Works models. The ones that had the cleanest, best looking welds, because they had no paint to hide anything. The lack of paint also meant they weighed less. This, combined with the S-Works Tarmac fork resulted in a frame and fork that was about 150g lighter than a standard smart weld Allez frame and fork. I decided to strip the black paint from my frame and bring it down to bare metal. I also purchased a black S-Works Tarmac fork. 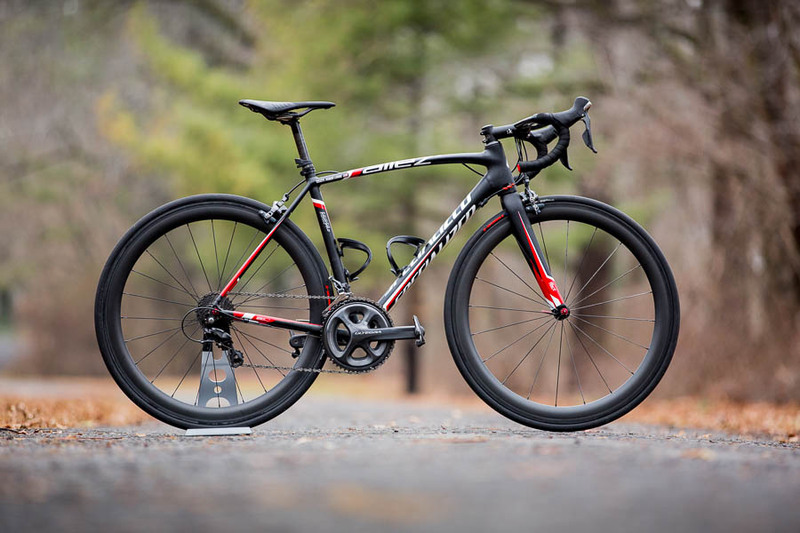 Specialized claims the S-Works Allez frame was 1050g. I'm assuming that is for a size 49. Stripped of paint, my size 54 1107. I rebuilt the bike with the S-Works fork and DA9000 components. The bike dropped from 16.7 pounds, down to 15.2 pounds. Really really nice this new aluminium painted. i have the sworks allez in black painted.the frameset is really awesome and beautifil. When i saw your black matte allez i loved, but the new painted that you put in, is so good to!! Hi, sorry to dig up an old thread but Ive just stumbled across it and yours is exactly the bike I am trying to build! I was wondering which s-works tarmac fork you fitted? I was thinking about the SL5 fork with carbon dropouts and crown but im not sure what size the taper is? Did you use the SL4 fork? 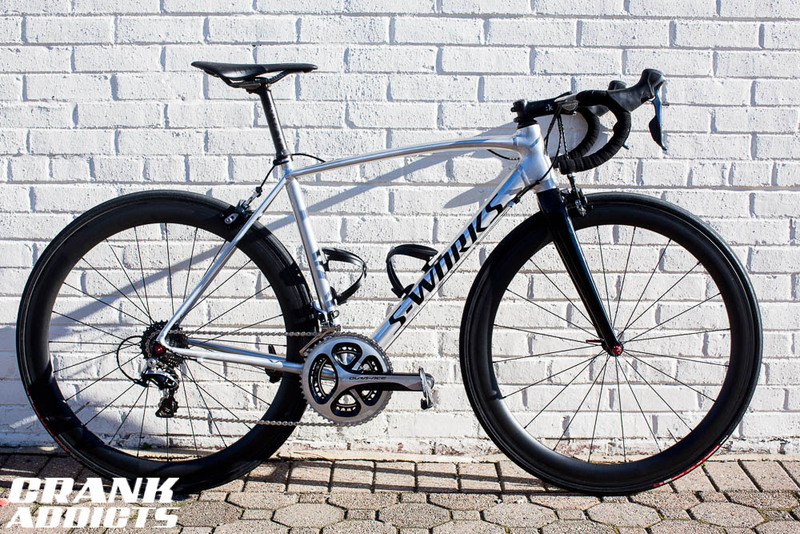 Bike looks awesome and better value than the S-works! I think you're talking about my bike... I used an SL4 S-works fork. I don't believe an SL5 Tarmac fork would fit. My LBS is a Specialized dealer and they helped me out. I just dug through some emails and found a part number #S152300067. One of the emails suggested that part number might not be right, though, and at this point, I can't exactly remember. Have your local shop check it out first. I have an SL5 S-Works tarmac as well now and I can tell you the forks are definitely different. In terms of value... I don't think doing it this way is any cheaper, the fork alone was like $450 from the dealer and then the time to strip the frame and the cost to clear coat it probably worked out to be more. it might be cheaper to simply find and buy an S-Works Allez. They are hard to come by though. Yes sorry your bike TricrossRich, that's interesting, do you mean in terms of rake or steerer taper size? I cant find any information on the headset size for the SL5, on the specialized.com it says 'size specific taper', Im not sure what that means. But ive seen some pictures of s-works frame sets with a fork that looks more like the sl5? My LBS are a a bit useless they seem to glaze over when I start talking about s-works this and tarmac that. I might have to try a shop further a field. I see what you mean when you include paint and new parts, my whole build is second hand and probably half the price of a second hand S-works frame, (Im not painting it). 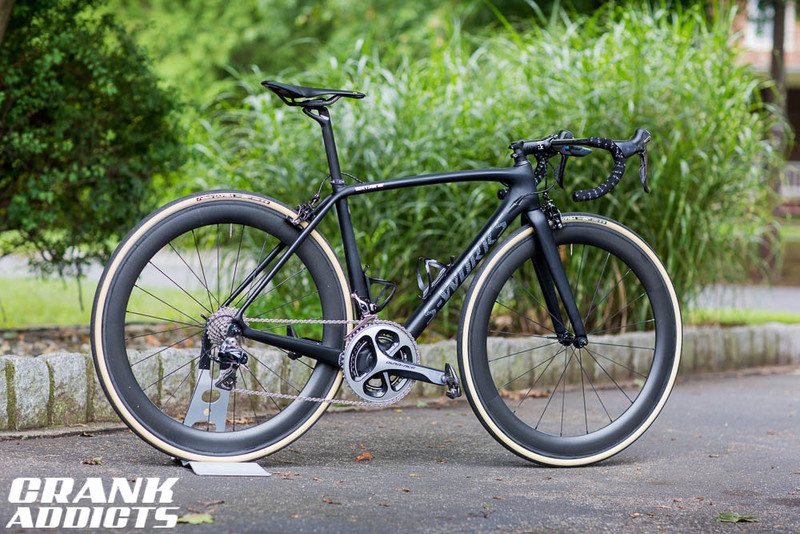 The SL5 generation of Tarmac is when Specialized introduced the concept of Rider First engineering, meaning that all of the frame sizes were designed independently, so that the large sizes and small sizes would feel the same in terms of stiffness. All of the frames have a tapered steerer, meaning larger bearing at the bottom, but the sizes are different depending on size. They may look similar if you do a quick glance of a built up bike, but there are physical differences looking at the external areas... the shoulders of the SL5 fork are beefier, a little wider. The real difference though in terms of what fits has to do with the shape and size of the crown race areas.When I brought my Allez fork in to my shop and the mechanic at my LBS saw it, he immediately looked at it and said "Oh yes, that's an SL4 fork." This was with the fork out of the frame. Keep in mind that the DSW Allez was out at the same time as the SL4 Tarmac... the Allez Sprint uses a fork that looks like the SL5. Sounds like you may need to find a big Specialized Shop... some place that does more custom stuff. 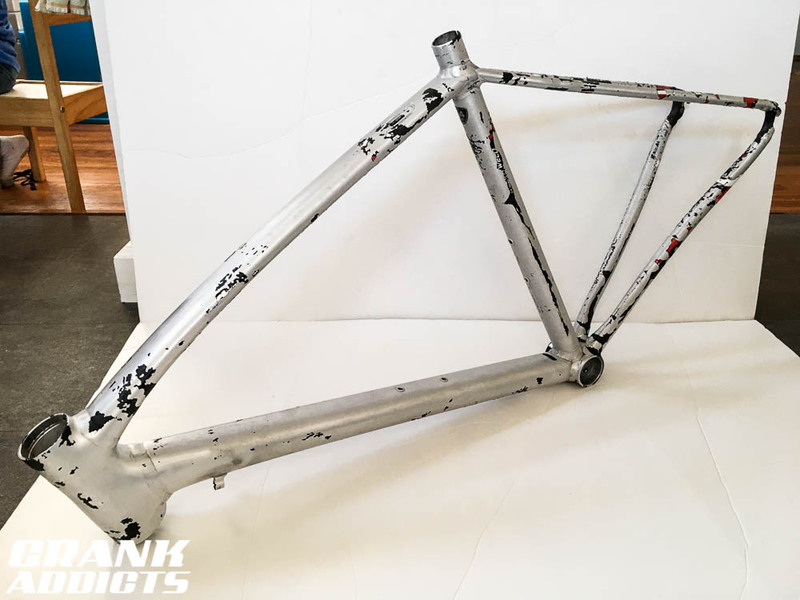 You don't have to paint it, but you should consider at least clear coating the frame, as I did... when my frame was raw aluminum, it tarnished quite easily and didn't look nearly as nice as it does now. Ok so I finally tracked down a second hand s-works tarmac sl4 fork with a long enough steerer and it fits perfectly, really pleased with it as it weighs 330g! So its 90g lighter than the standard comp/tarmac fork. I have also bought an sl5 fork which doesnt fit haha. It has a 1-1/2inch bottom bearing because its from a 58cm frame, one from a 52/54cm frame would fit but its actually heavier which I was surprised at! Anyway I will post pictures when its all together. This past Summer I ended up picking up an S-Works SL5 Tarmac, size 52 and the fork from that bike is definitely different, but not any heavier than the SL4 fork that I put in my Allez. differences in S-works Allez and e5 Smartweld allez forks? 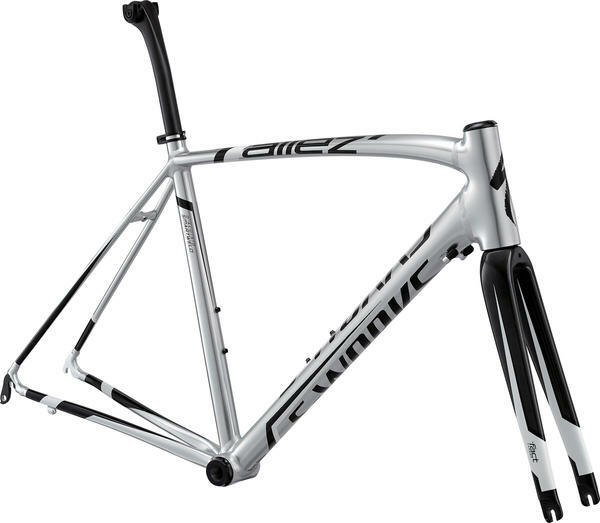 2014 F1 Frameset or 2015 F1 Frameset?